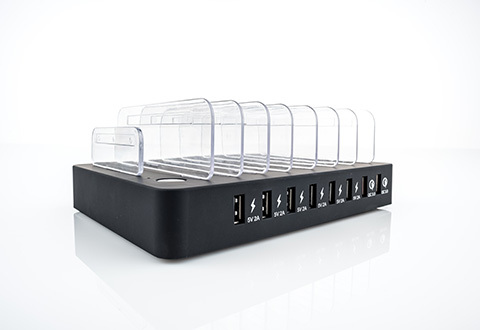 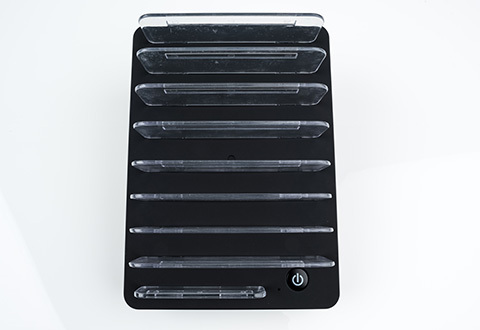 The 8 Device Quick Charging Station powers up to 8 devices from a single AC outlet. Features 6 charging ports with 2.4 Amp max (for all mobile devices) and 2 ports with Quick Charge 3.0 for Galaxy S7, S6, Edge and other Androids (charges 80% in 35 minutes). 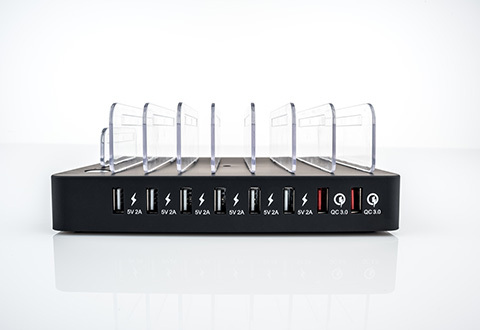 Smart ID recognizes each device, to supply the correct power. 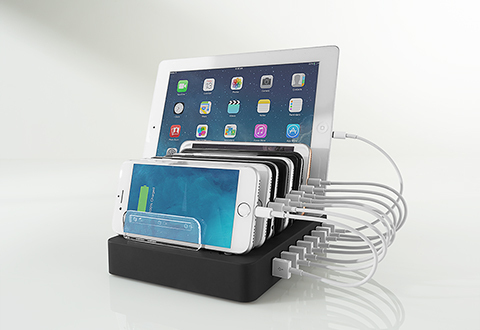 The 8 Device Quick Charging Station powers up to 8 devices from a single AC outlet.